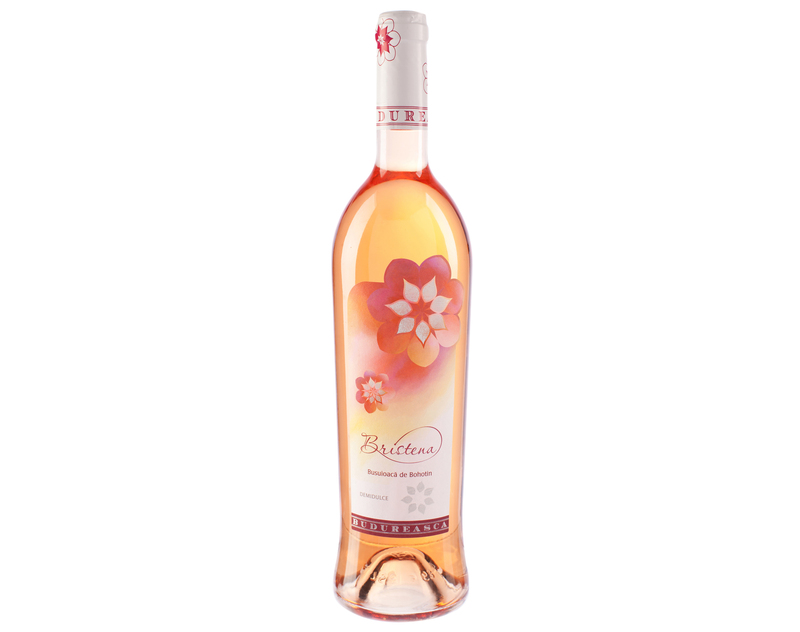 A medium sweet rosé with an elegant pink colour high in aromas of rose petals, cherries and strawberries. The taste is a juicy fruitiness. Busuioaca de Bohotin is a very difficult variety to grow and vinify. In the Budureasca vineyards it was planted in an area that gives a good number of hours sunshine to protect it from deseases that occur due to moisture. 2014 was a particularly good year giving a wine with strong well defined flavours. This a medium sweet rosé with an elegant pink colour and high aromatic intensity, giving a mix of rose petals, cherries and strawberries. The taste evolves quickly and captures juicy fruitiness creating a unique personality. Serve at 10 – 12 degrees. Food match: Fruit desserts, cheese or chocolate.